Internet speed tests are useful tools for gauging how much bandwidth is available to you. You can choose your Internet speed testing website based on several factors. Here are some of the top sites for you to gauge your connection speed. Nobody wants to live life in the slow lane. As a civilization, we are hellbent on going faster, whether that’s when we are stuck in morning traffic on our way to work or standing in line at the grocery checkout; we crave more speed. Nowhere is our need for speed more appropriate than with our Internet connections. I know you remember those old stone age days of dial-up. Recall your frustration at watching badly pixelated photos load line by line at a snail’s pace. We’ve come a long way, but there’s always room for improvement (unless, of course, you’re one of the researchers at the Karlsruhe Institute of Technology in Germany who was able to reach broadband speeds of about 26 terabits per second – fast enough to transfer a file from a 3 TB hard drive in less than a second!) Internet speed tests are useful tools for gauging how much bandwidth is available to you. There are quite a few resources out there for you to conduct your own speed test. Think of Internet speed tests as a kind of taser to keep you ISP in check. Troubleshoot your connection. Conduct the test, and then, compare your results with the plan your purchased. 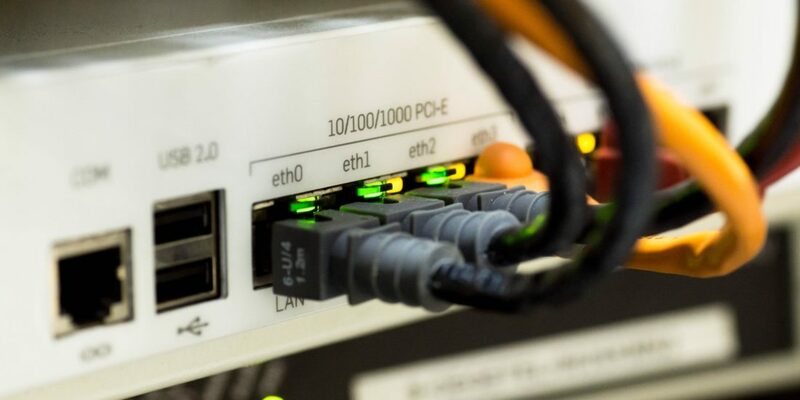 If there is a considerable discrepancy (bear in mind that these numbers fluctuate to a degree), you can call up your ISP and get answers as to why you are not getting your money’s worth. Get answers. Maybe your ISP is throttling your Internet. Screw that. Get on it. You: My Internet is going slow Them: What makes you think that? You: I conducted a speed test. Them: Well, which speed test did you use? You: Your own. The one on your site. Now kindly fix the issue before I take my money elsewhere! Well, maybe not exactly like that, but you get the general idea. My friendly advice is to first try using and citing the ISP-specific speed tests. Below are some of the top ISP provider test websites. If you can’t find yours on the list, a simple Google search should bring it up. You can also call your ISP and get the link. There are some providers, like Sprint, who don’t host Internet speed tests for their service. If that’s the case with your provider, you may need to use an independent speed test site. Netflix launched its own service-specific speed test back in 2016. Simply go to Fast.com to calculate your download speeds in megabits per second (Mbps). If you think about it, it makes total sense for Netflix to offer this service – many people check their Internet speed to make sure they can stream movies and shows. It’s the most well-known speed test. This test site utilizes test locations all over the world to give you fast and accurate results. It also calculates the nearest testing server based on your IP address. This is a handy tool. The site uses over 80 servers around the globe and the test is run from the fastest one at any given time. Plus, it’s an HTML5 speed test, which means you can run it on your iPhone, iPad, Android, and other devices without Flash or Java. Another good one that uses HTML5. The website touts that “TestMy.net gets smarter the more you use it and makes adjustments specific to your computer for a high level of accuracy. This speed test will download randomly generated data to your browser, calculate your download speed and log your speed test results. TMN ensures your Internet connection is tested thoroughly with large download tests up to 200 MB.” Pretty nifty. It’s really simple to use. With a single click you can get your test results in a simple, easy-to-read format. The site also uses HTML5 and works on desktop and mobile devices. The only downside I can see is that the site doesn’t use nearly as many testing servers as other sites.